The Fraser and Neave saga is getting closer to its endgame. The Singaporean conglomerate, already facing a bid from a Thai tycoon, has attracted a rival S$13.1 billion ($10.7 billion) offer from a consortium including 15 pct shareholder Kirin. Now the Japanese group has put a value on its target’s food and drinks business, the upside for F&N shareholders looks limited. The catalyst for breaking up F&N came this summer, when Heineken launched a bid for Asia Pacific Breweries. 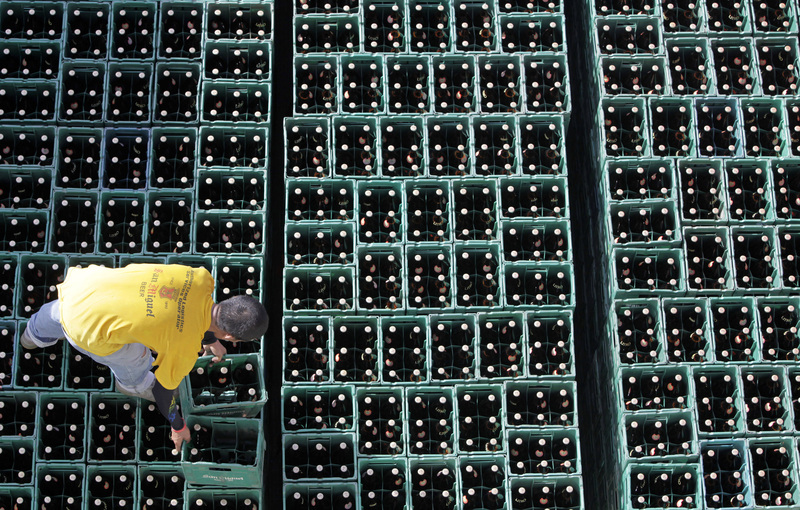 After a tussle with Thai beer mogul Charoen Sirivadhanabhakdi, the Dutch brewer emerged the winner – and F&N pocketed almost S$5.6 billion for its 40 percent stake. Yet Charoen felt that F&N’s remaining assetss were hiding more value. After lifting his stake above 30 percent, the billionaire launched a takeover bid at the auspicious price of S$8.88 a share, valuing F&N at S$12.8 billion. With the brewing division sold, the debate over F&N’s true worth rests on the company’s property portfolio and its food and drinks business. The new bidder, led by Overseas Union Enterprise, helps answer to the second part of that conundrum. The consortium includes Kirin, which has struck a deal to carve out the food and drinks operations for S$2.7 billion in return for pledging its stake in F&N to the consortium. That leaves the property assets. According to a valuation by JPMorgan, F&N’s independent adviser, the portfolio is worth between S$4.4 billion and S$6.8 billion. Take the mid-point, and F&N is worth around S$9.80 per share – 8 percent above OUE’s bid. With shares in F&N trading above the new offer on the day after its announcement, investors are hoping the two bidders will slug it out. That may be optimistic. Though F&N has not recommended the latest bid, it has agreed to pay OUE a S$50 million break fee if it fails. Charoen’s ability to finance a higher offer is unclear. By pitching its bid at a small premium OUE seems to be counting on Charoen to cash in his chips and walk away. F&N shareholders, who have seen the value of their investment more than quadruple in three and a half years, should consider doing the same. Calculator: What's the sum of Fraser and Neave's parts? A consortium led by Overseas Union Enterprise on Nov. 15 launched a S$13.1 billion ($10.7 billion) offer for Singapore property and drinks conglomerate Fraser and Neave, trumping a bid from Thailand’s third-richest man. OUE, a hotel and property firm controlled by Indonesia’s Lippo Group, said the consortium would pay S$9.08 in cash for each F&N share, bettering the Thai’s S$8.88 per share offer. OUE’s consortium includes Kirin Holdings, the Japanese group that owns 14.8 percent of F&N. Kirin has accepted the offer, and had agreed to buy F&N’s food and beverage business for S$2.7 billion in cash. F&N did not recommend the offer. However, the company said it had agreed to pay OUE a break fee of S$50 million if the bid fails. A sum-of-the-parts valuation conducted by JPMorgan, F&N’s independent adviser, and published in October, put the company’s worth at between S$8.30 and S$11.22 per share. Shares in F&N rose by as much as 2 percent to S$9.33 on Nov. 16.